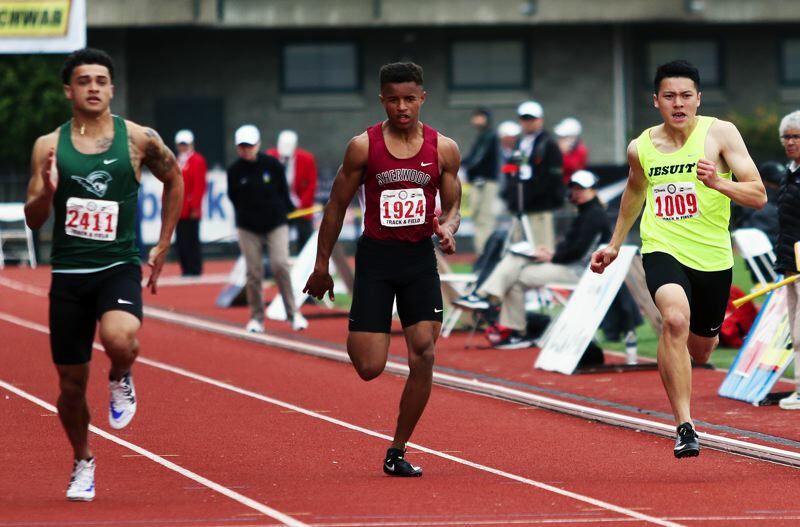 The Sherwood High School boys track and field team is looking to make a big — and immediate — impact during its debut season in the Pacific Conference. 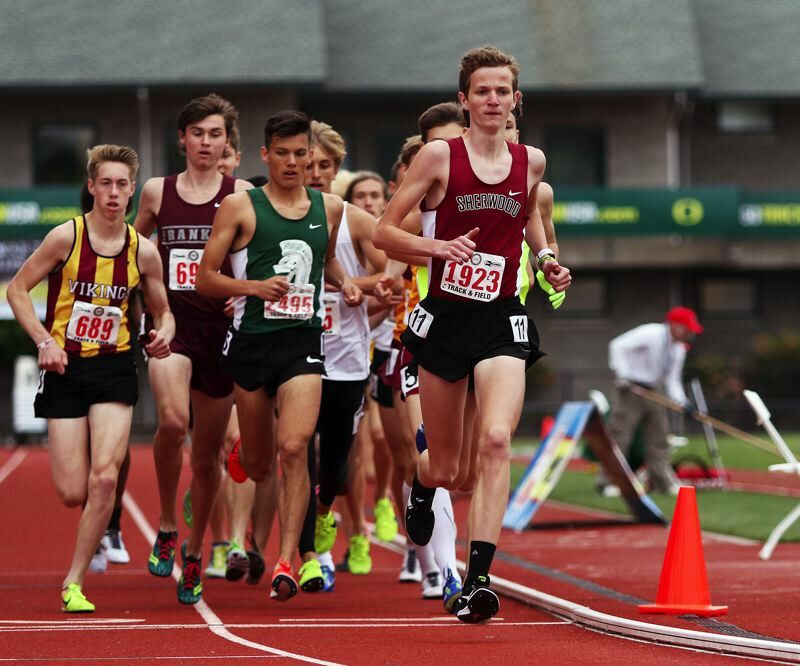 The Bowmen, coming off a season where they won the Three Rivers League dual meet crown, are looking for similar success this year in their new conference. "Our projection is that the boys will also win the dual meet championship in the new Pacific Conference in 2019," Sherwood coach Terrel Smith said. "The team includes state-leading sprinters, throwers and distance athletes." The Sherwood boys squad includes what looks to be a high-level group of throwers. 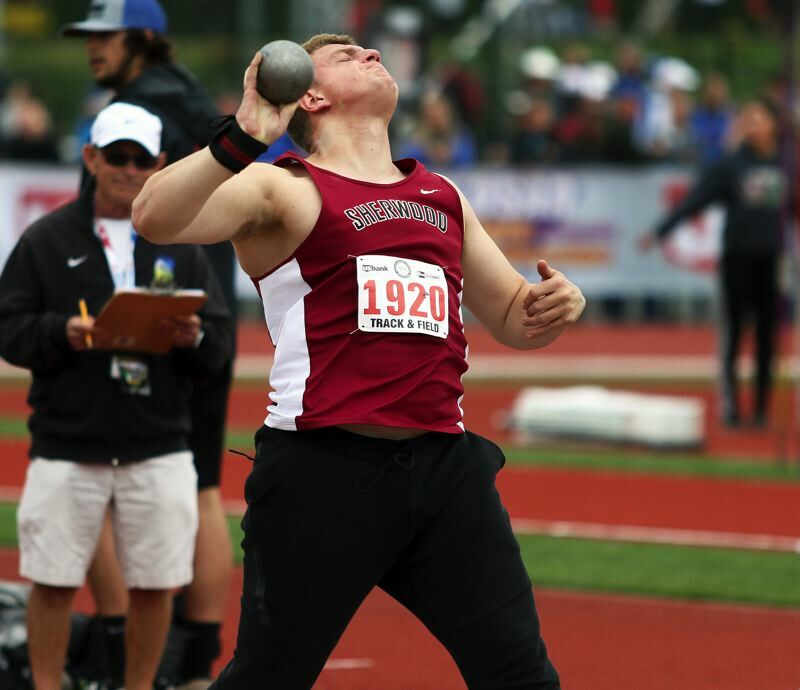 "The throwing team is one of the best in the state and also one of the youngest," Smith said. Sophomores Noah Culbertson and Bryan Cuthbertson are rank No. 1 and No. 2 in both the shot put and the discus in the Pacific Conference going into the 2019 season. Culbertson, who took fifth place in the shot put event at last year's Class 6A state meet, is also ranked No. 2 in the state in the shot put going into the 2019 season, while Cuthbertson is at No. 7. Senior Ethan Kelley is ranked No. 8 in the state and No. 3 in the conference in the javelin coming into this season. Cuthbertson and sophomore Asher Krauel are ranked sixth and seventh, respectively, in the javelin going into conference competition. Seniors Jakob McCreery and Carter Atkins will add depth to the shot and discus crews. Junior Caleb Hagan will lead the sprinters. He placed sixth in the 100-meter dash, and fifth in the 200 at state last year. Senior Micah Muller will add depth to the talented sprinter group. The boys distance crew is coming off of a state qualifying and district cross country championship season and are ready to take on the new league. Junior Thomas Osborne leads the team in the 800 and is ranked third in the conference. Senior Henry Giles is ranked second in the 1,500 and 3,000, followed closely by junior Jaron Homer and sophomore Ismael Alvares. Another major strength of the Bowmen is the hurdles. Seniors Dylan Blue and Josh Milligan are ranked third and fourth, respectively, in the 110 high hurdles. Blue is ranked No. 4 and senior Austin Cornett No. 5 in the league 300 intermediate hurdles. In the jumps, juniors Sam Findtner and Sebastien Alexander are ranked fifth and sixth in the conference in the long jump. 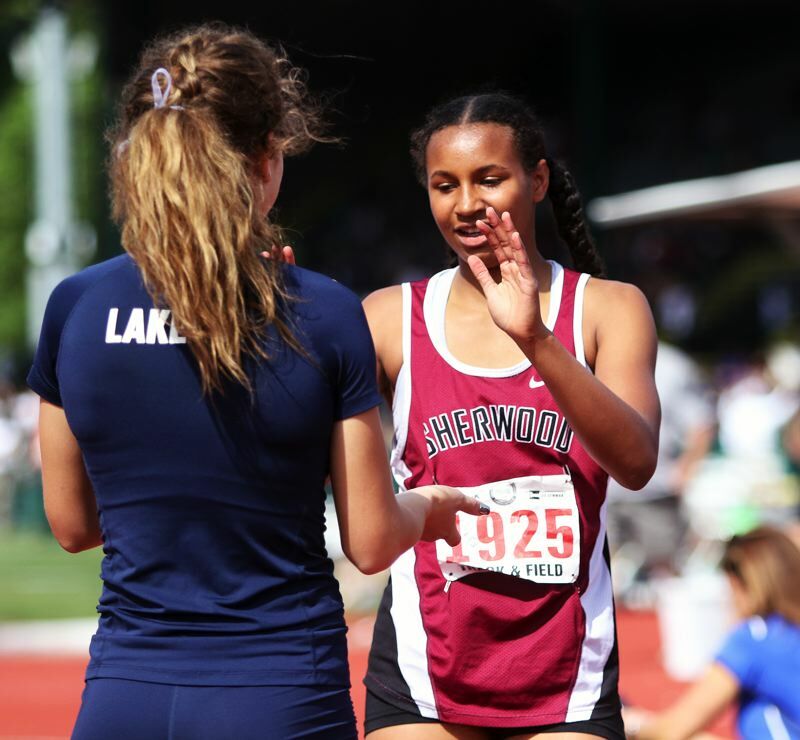 There is also plenty of optimism for the young Sherwood girls track and field squad heading into the 2019 season. "The team should be talented and deep enough to finish as one of the top two teams in the new Pacific Conference," Smith said. Sophomore Nora Hagan will lead the Lady Bowmen sprinters. She is ranked first in the 100, 200 and 400 among the returning conference competitors. She is also ranked fifth in the state in the 200. Junior Clair McGill is ranked fourth in the 100 and second in the 200 in the conference. Sophomore Kylah Williams is ranked fourth in the 400 and will be one of key runners in the 4 x 400 relay. The distance girls will be strong this year, led by senior Alex Verkamp, who is ranked third in league in the 800, junior Ava Boughey, who is ranked fifth in the 800 and 1500, and sophomore Brooke Smith who is ranked fifth in the 1500 and third in the 3000. Junior Vanessa Van Winkle, senior Jacqueline Angelel and sophomore Kari Eddington will add depth to distance group. Joley Sproul, Madi Pastores and Hallie Blue will lead the Lady Bowmen hurdle crew. Sproul is ranked second in the 300 hurdles and eighth in the high hurdles. Senior Korynn Bowers will lead the girl throwers with a league ranking of fifth in the javelin and sixth in the shot put. Sophomores Taryn Kelley should be a contender in the javelin. Junior Anna Dummer and sophomore Halie Richmond will add throwing power to the shot and disc events. Sophomores Samantha Christiansen and Sproul come to the season with league rankings of No. 3 and No. 6 in the high jump, and Christensen is also ranked sixth in the triple jump. Senior Paige Block and junior Pastores are the team's top long jumpers. The Sherwood teams open their Pacific Conference schedule on Wednesday, when they host Forest Grove in a conference dual meet scheduled to start at 4 p.m.